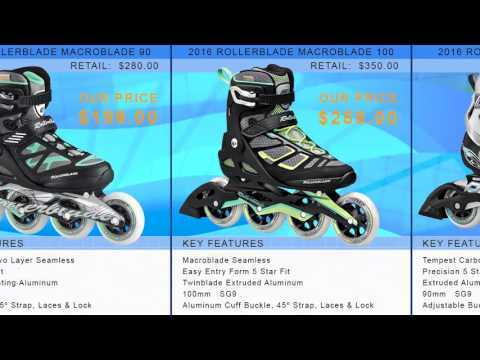 The Rollerblade Maxxum 84 Urban Inline Skates combine a fusion of superior lateral support, comfortable padded liners, and a versatile wheel setup that can be used for commuting, cruising, or training. The vented, molded hard shell provides plenty of support, paired with Specialized Fit liners that ensure comfort for all activities. Wearing The Rollerblade Maxxum 84 Urban Inline Skates, they provide secure comfort and performance that allows you to challenge your skate. The extruded aluminum frame can fit up to 84mm wheels and enables excellent power transfer and stability. 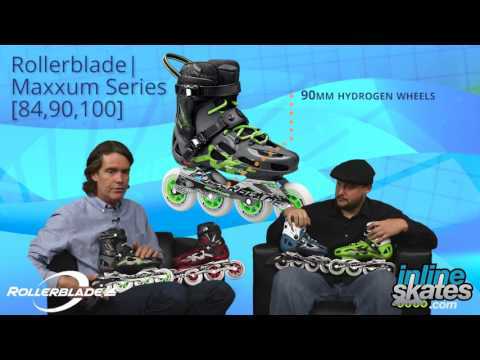 These skates come with the new Rollerblade Hydrogen Wheels that enhance your rolling experience and produce good speed with the Rollerblade SG9 Bearings. Q: Can these be used indoors? A: Yes, but if you are going to be skating indoors and outdoors it's going to be best to have separate wheels for both. When you skate outdoors the wheels pick up dirt and debris which can be slippery on an indoor surface and can cause damage to the indoor skating surface. Some indoor rinks will not allow wheels used outdoors to be used indoors. Q: My measured shoe size is 8 but according to the size chart on roller blades official website, it is recommended that the maxxum skates be ordered one size larger than normal meaning i should order a size 9. What do you think? There are no skate shops in my town so i cannot can try skates on prior to buying. A: It really depends on what kind of fit you want. I skate with the men's version of this skate and I have it in the same size as my shoe size. They were tight at first and definitely needed to break in but once they did they fit like a glove and have a great performance fit. If taken a size larger you may not have that initial shock when you put the skates on since they are a stiff and tight boot, but once they break in I would worry about them having too much room. I personally recommend these skates in the same size as shoe but believe they will need about 6 times skating in them to break them in, but these are higher end skates for those that skate very often and can appreciate a snug performance fit. Q: Do you offer any type of ratcheting lace system, like the older roller blades used ? A: Rollerblade currently doesn't use a ratcheting closure on any of their skates. The Rollerblade Maxxum 84 does feature a ratcheting center and top strap which do a stellar job to tighten the skates, but the lacing is a standard tie lace. Q: Two questions. can I put a 90mm wheel on these? Is there a custom fit liner I could buy to put in these and make them more comfortable? A: The maximum wheel size of the Maxxum 84 is 84mm so you won't be able to go up to 90mm. If it's 90mm or bust I would recommend the Maxxum 90's, these are only available in men's sizing so you'll want to size down accordingly probably one full size. I skate with the maxxums and the liner is removable but there are not many liners being made for replacement in the fitness/recreational market. You can find many companies making aggressive skate liners but these would most likely be too large to fit into this skate's shell. The Maxxum liner is very comfortable and offers great support; an easy way to improve on it would be to add a custom footbed to the skates. This is something I always try to do in my skates and it can help tremendously.